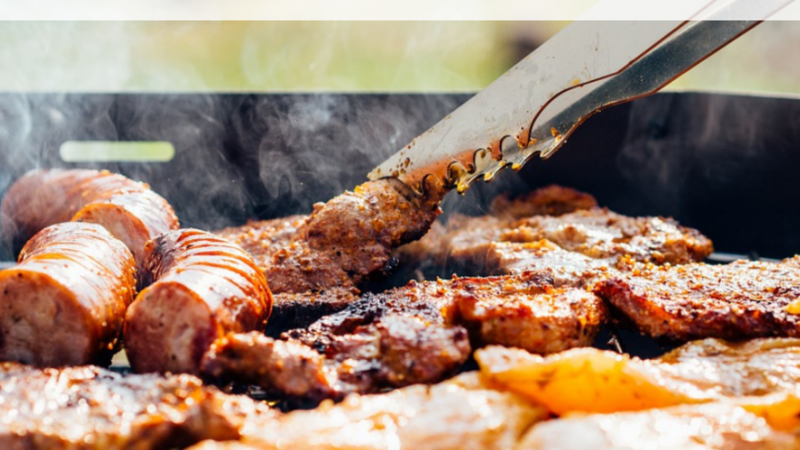 Well, the summer period is synonymous with BBQ grills you might need to dust off that BBQ grill and get ready to flip some patties for your mates. It should be fairly noticeable that a clean grill means better tasting food (and obviously less stomach upsets as we go along) so you might want to make sure your grill is in pristine condition for the upcoming summer. Furthermore, the better care you take, the longer the BBQ will last you. This is useful in doing the cleaning without scratching any plastic or stainless steel to avoid that dilapidated appearance that may come about from constant scratching. Generally, you shouldn’t work with toxic substances but in this instance, toxic implies the possibility of harm if ingested. This is obviously because you will be working with an appliance directly used in making food. This is used for the exterior of the barbecue since it is made of stainless steel. Microfiber cloths may not be the best option here since it is rather difficult to remove grease from microfibre cloths. This may be a good time to bring out those old, faded tee shirts or towels. This specially made tool is ideal for grills as it won’t scratch the stainless steel or the porcelain. 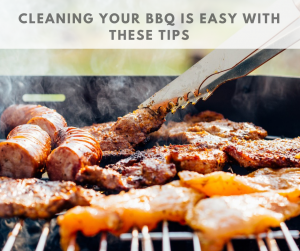 Cleaning the outer side of your barbecue may be deemed the same as cleaning the outer side of any of the kitchen appliances within your house. Fill your bucket halfway with warm water and, having donned your gloves, add a teaspoon of the dish liquid to your bucket of water. For the first portion of the exterior of the grill, we will be using the non – scratch scouring sponge. Remember, the purpose of the sponge itself was to avoid leaving marks and scratches on your grill; be sure to use the soft side of the sponge when cleaning at all times. Apply the soapy water using the sponge and rinse off. Afterward dry with a soft cloth. The next part would be dealing with grease build-ups at the different crevices of the grill. For this, you will use the non – toxic degreaser. Use the same process as above to clean these crevices out and get rid of the grease. For the stainless-steel components, you should use the stainless-steel spray and then wipe off using a soft cloth. If these components have some grease, then you should apply the degreaser first before using the spray. This component is particularly privy to scratches and marks so be careful. Knobs and handles are typically identified as points of contacts are these are the components the chef will handle the most. Consequently, one can imagine that these components could easily be the dirtiest on the entire grill. These components may be full off grease as a result of handling from the chef, so you should use the degreaser to clean this component. Use a clean cloth to wipe over the components after. Now that we’ve dealt with the exterior of the grill, we need to clean the grills themselves. Typically, there are 3 main materials that your grills may be made of: cast iron, stainless steel or porcelain enamel coated. If your grills are made of cast iron, then you can use a wire BBQ brush. Make sure the bristles of the brush are gold – coloured as this is the best material for cast iron grills. For porcelain coated enamel and stainless-steel look for a stainless-steel wire brush. To really get the grill clean you need to clean the grates individually. Using the warm soapy water and a sponge you can just scrub them like any other dish. Furthermore, you can use the griller, which is a specialised piece of cleaning equipment that is excellent at cleaning up greasy grimy barbecue grates. Once you got this down, you’re good to go for your next grilling session! Remember, well-maintained grills imply tastier, healthier food as well as a longer useful life for your grill.